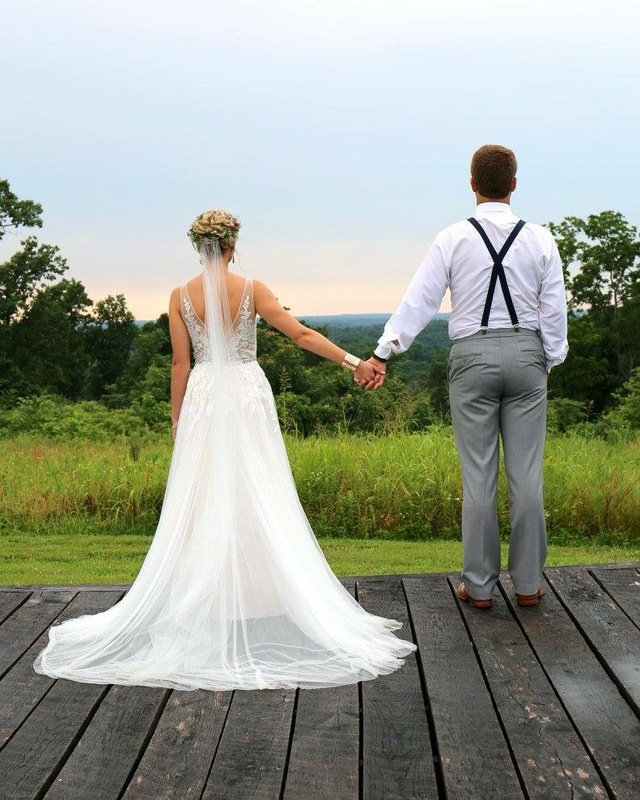 Hadley & Jordan have been busy since having their wedding at Burdoc Farms in June 2016. They have been traveling all over the world, literally, we are so jealous guys, competing in Triathlons and both working and in school. Hadley works with special needs children and Jordan has been in school working on his masters. These two are always on the go. 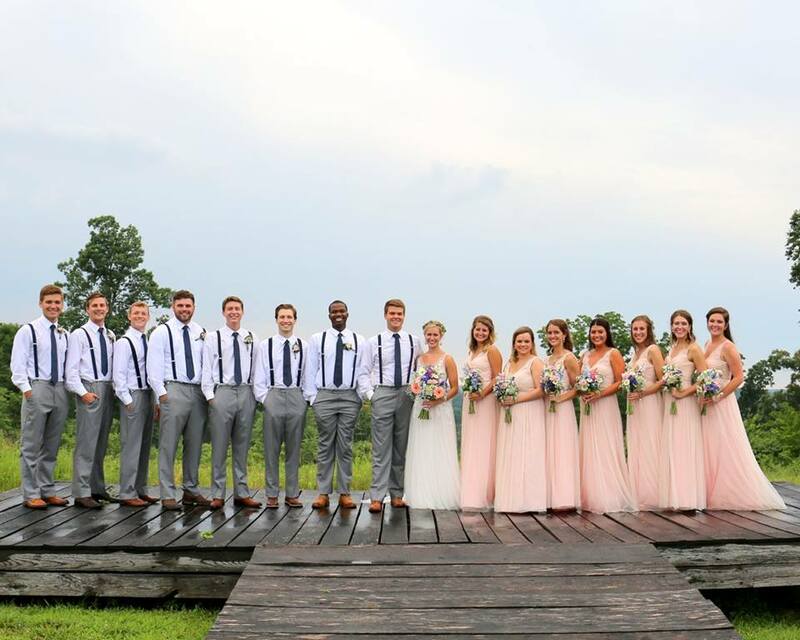 We so appreciate that Hadley and Jordan took the time to have their special day at Burdoc Farms. You guys were so great to work with, we loved having you both and your families and we wish you all the best! 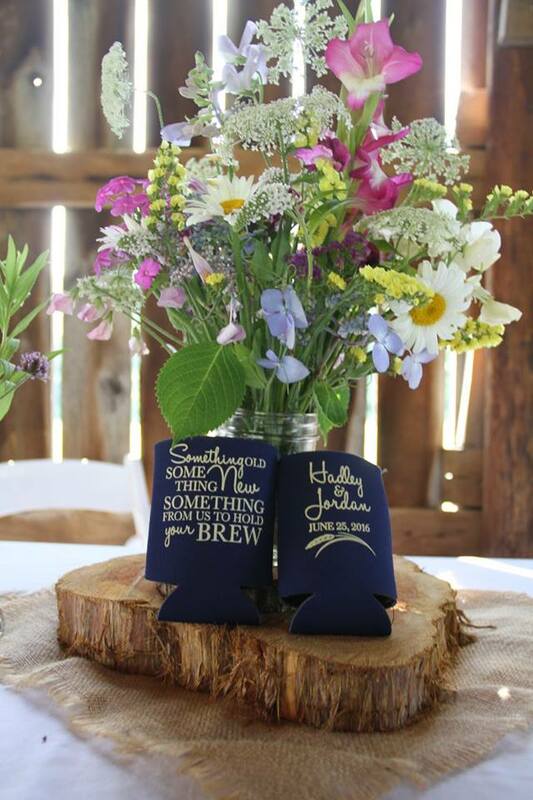 Congratulations Hadley & Jordan…. Why did you pick Burdoc Farms? 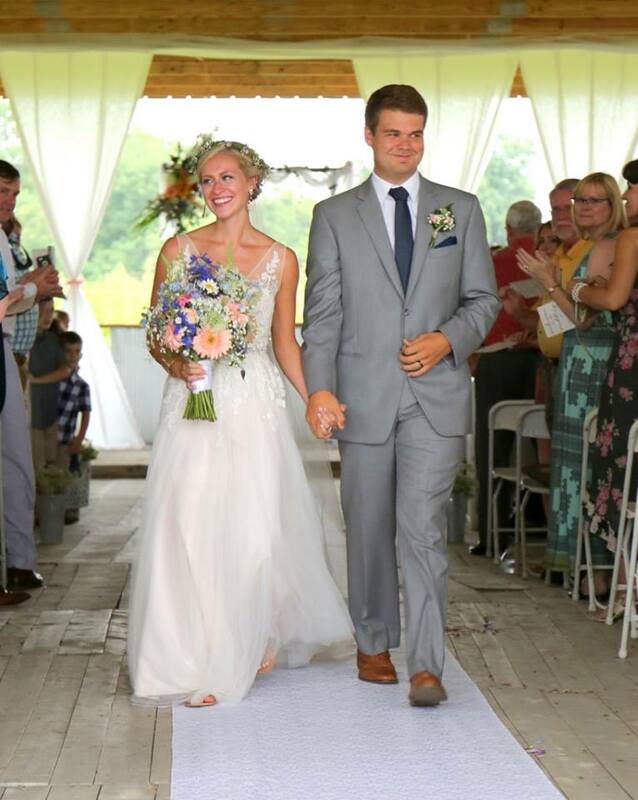 H&J – We picked Burdoc Farms because we loved the idea of getting married in a barn and having an outdoor wedding. In our opinion, Burdoc Farms has the best views for pictures and the prettiest/most unique barns. 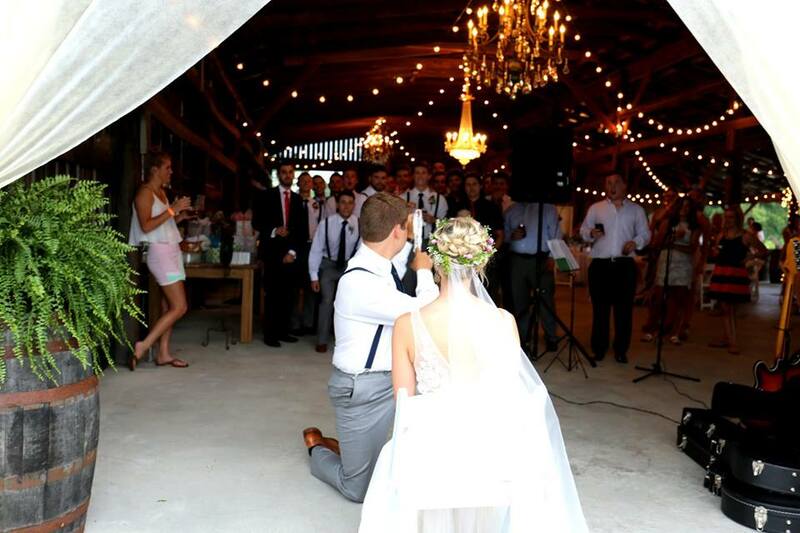 We also wanted to have both the ceremony and reception in the same area, so Burdoc Farms was perfect! H&J – We could not have had a better experience! All of the staff at Burdoc were extremely helpful and the venue matched the theme of our wedding perfectly. Even during the months leading up to the wedding, the staff were always available and quick to reply to any questions or concerns we had. 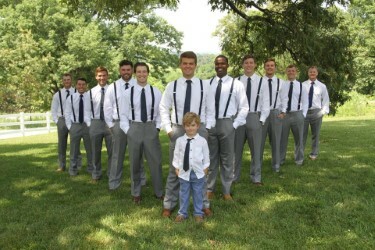 They even recommended vendors to us that ended up working out amazingly! What did you enjoy most about Burdoc? H&J –We enjoyed the Tobacco Barn the most at Burdoc. The rustic chandeliers, lights, bar and patio area helped us create the exact environment we were looking for our reception. The open concept was very accommodating to both young and older guests. There was plenty of room to dance (or sit) and they even let us have a live band! Even though we were in a barn, they had indoor plumbing, which was very nice! It has been almost a year since our wedding and we still have people commenting on how beautiful and perfect our reception was. What was your most memorable moment the day of the wedding? H&J – The entire day had been scorching hot (it was the end of June) and minutes before our ceremony was starting, it began to thunderstorm. We got married in the Chapel Barn so thankfully everyone was safe from the rain. The minute the ceremony was over, the skies began to clear up and it stopped raining! We thought it was very unique to have a wedding in the middle of a thunderstorm. Plus, the short shower cooled off the evening for a perfect outdoor reception. What general advice would you give a couple that is getting married? 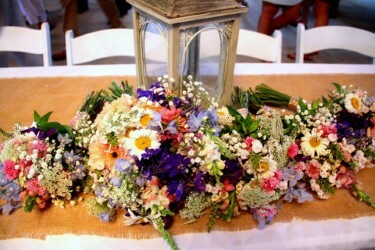 H&J – The day of the wedding, do not stress about the little details. 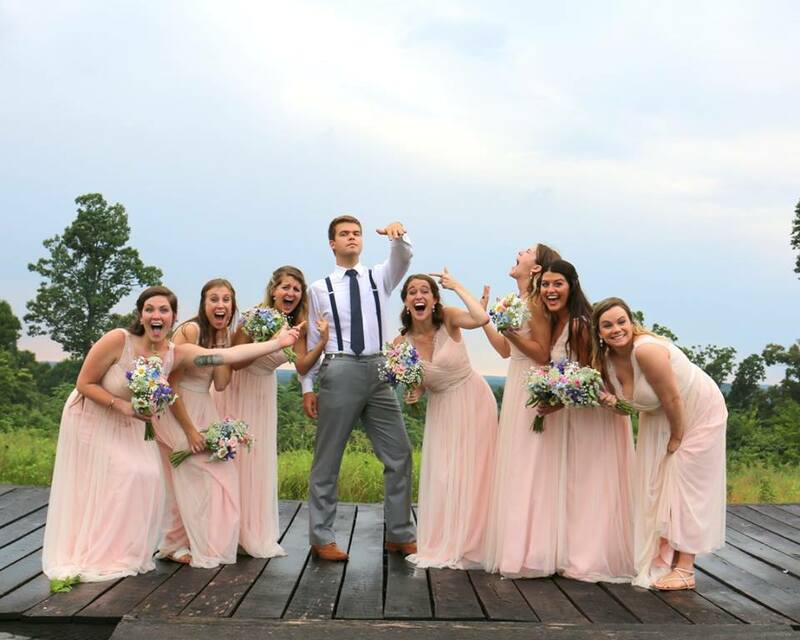 Make an itinerary and give it to your wedding planner/MOH/Best Man, then sit back and relax. Try your best to make the most out of every second with your friends, family, and new husband/wife. The day goes by so quickly and if you blink, you will miss it! Do your best to truly live in the moment and take it all in!